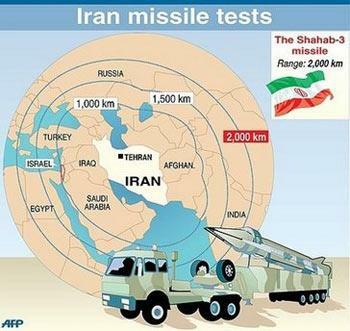 The farthest Iran’s missiles can currently reach is 2,000-2,500 kms (1,242-1,553 miles). That’s enough to reach arch adversaries Saudi Arabia and Israel but not much further than the fringe of southern Europe. It’s thought that Iran has deliberately limited the range of its missiles but implicit in Salami’s statement is a warning that could change if the country is pressured to limit its defensive capability. Earlier Saturday, Iran announced the “successful test” of a new cruise missile with a range of over 1,350 kilometres, coinciding with the anniversary of the country’s 1979 Islamic Revolution. Tehran denies this, insisting its missile programme is “purely defensive.” The weapon tested Saturday takes its name from a city in the southwestern province of Khuzestan that was devastated in the 1980-1988 war against Saddam Hussein’s Iraq.